Reports from the International Energy Agency indicate that the U.S. is poised to surpass Saudia Arabia in oil production in the next eight years, with hopes of being energy independent within a decade. Our San Antonio injury lawyers know this is good news overall for the industry and the country. However, it’s inevitably going to mean a spike in accidents as well, particularly if petroleum companies grow without careful regard to implementation of safety procedures. According to the U.S. Energy Information Administration, crude oil production in the U.S. soared by 14 percent from 2008 to 2011. During that same time, natural gas production increased by 10 percent. Global energy demand over the next 23 years is expected to balloon by more than a third, with demand for oil in the Middle East, India and China driving about 60 percent of that growth. This will drive up prices, as well as the need for more workers to help domestic companies produce. The U.S. is unique in this regard in that in comparison to other burgeoning oil-rich countries, such as Singapore, we have a greater crop of experienced workers. Those with chemical and engineering backgrounds are becoming more and more important. As of right now, many of those wells and platforms are based in the Gulf of Mexico, off the shores of Texas, Louisiana, Mississippi, Alabama and Florida. However, the demand may push some companies to press forward in exploring new frontiers such as Alaska and new offshore zones. Around the world, there were an estimated 540 offshore oil rigs last year. By the end of this year, we’re expecting that number to grow by more than 50. By the end of next year, we can expect another 30 or so. This is going to mean that over the next year to year-and-a-half, we’re looking at another 11,000 new jobs, with about 185 employees stationed on each rig. Even the least skilled on these rigs are making between $18 and $20 an hour, making it a job for which people are clamoring. But skilled labor is tougher to find. The demand may mean that those with lesser experience will be pushed faster up the ranks, increasing the potential for accidents and injuries. 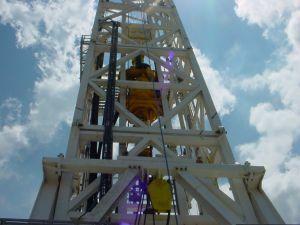 Additionally, some of the most lucrative operations – i.e., deepwater drilling – are also some of the most dangerous. Still, a report from the Deepwater Horizon Study Group at the University of California, Berkeley, indicates that both deepwater and shallow water projects pose significant risks of blowouts, explosions, spills, fires and worker injury. During the Congressional hearings held after the Deepwater Horizon spill, oil executives testified they cut cost and consequently safety measures were not up to regulation standards. Even before the explosion and spill, you had workers suffering from burns, head injuries, broken bones and death. Most commonly, these injuries were sustained due to faulty grating, faulty blocks or cables, wet or obstructed walkways or cathead slips. When these workers suffer an injury, it’s often devastating to the person’s entire family. Seeking compensation for medical bills, lost wages and other damages is critical. If you’ve been injured in an oil rig accident, you may be entitled to compensation. Contact the Herrera Law Firm at 800-455-1054 for a confidential consultation. A 31-year-old man believed to have died his first day on the job at a San Antonio brewery was not intoxicated at the time of his death, autopsy reports reveal. Our San Antonio construction accident attorneys recently reported the man’s passing, which wasn’t confirmed until his decomposing body was found in a smokestack, a week after he was reported missing by family members. A roofer, the man had been brought to the boiler house site on the morning of Aug. 14 for his first day of work. The 115-year-old structure is being transformed into a restaurant, and he was there to work for a contractor. At some point during the day – it’s not clear exactly when – the undocumented Mexican immigrant vanished. His family members say they tried to file a missing person’s report, but were unsuccessful. The contracting company states it was not aware that the worker was missing until his body was found at the bottom of the 20-foot shaft, after apparently falling through a vent. Since then, there is a great deal of speculation about how the victim fell into the shaft. Representatives for the contracting firm said that the vent was properly barricaded, according to regulations set by the Occupational Safety and Health Administration. They say the area was not at all accessible to workers. But then how did he stumble upon it? OSHA is investigating, but representatives for the family, who have filed a wrongful death lawsuit, said they doubt whether there was in fact proper barricading. The San Antonio Express-News reports his body was only found after the smell of decay led other workers to further investigate. Representatives for the construction firm had further tried to lay blame on the victim by suggesting that he had been drinking or was otherwise intoxicated at the time of the incident. However, the autopsy report has laid that theory to rest. The medical examiner’s report indicated the victim had suffered from skull and rib fractures. His cause of death, which was ruled an accident, was the result of blunt-force injuries to the head. 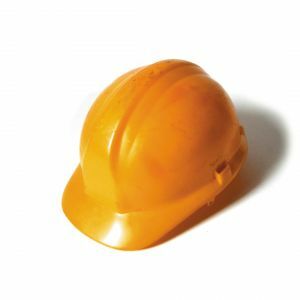 His hard hat was found near his body. Although his blood alcohol content was found to be at 0.0036 percent, the medical examiner reported that this was a byproduct of the body’s natural decomposition process – not at all an indicator of intoxication. Family members say they are haunted by the fact that their loved one may have died a slow and excruciating death. There was a small door at the base of the smokestack that was reportedly locked from the outside. It appears the worker may have been alive after he fell, because there is evidence he may have taken off his shoes to bang on the door for help. The man’s brother said he left behind a wife and two children who depended on him to provide. Attorneys for the construction company are attempting to get out of responsibility by claiming that the worker was supposed to begin work for them that day, but hadn’t actually started. OSHA’s final report on the matter should be telling. It’s not uncommon in these cases for companies to try to shift the blame in an effort to avoid paying for their negligence. That’s why you need an attorney with proven experience to defend your interests. If you’ve been injured in a San Antonio construction accident, contact the Herrera Law Firm at 800-455-1054 for a confidential consultation. An advocacy group in Midland, Texas, about 5 hours north of San Antonio, is working hard to put the brakes on DUI fatalities in the state by pushing a hike in taxes on beer. San Antonio DUI accident attorneys understand that the group is working to at least have the issue discussed on the floor of either the state House or Senate. No formal bill has been drafted, but the group, Stop DUI, says that per capita, Texas residents drink more beer than those in any other state, and lead the nation in DUI crashes. The National Highway Traffic Safety Association reports that of the 37,261 DUI fatalities in 2008, 3,382 were in Texas. That accounts for 9 percent of all DUI fatalities in the country. Only California had more, with 3,434 DUI deaths that year. Of all the crashes in Texas involving DUI last year, the Texas Department of Transportation reports that Bexar County was among the highest in the state, with 2,016. Only one other county ranked higher, with 2,657 DUI crashes. Of the 1,039 people killed in Texas DUI crashes last year, 109 were pedestrians, 155 were passengers driven by the DUI driver and 140 were people in other vehicles. Whether a measure increasing beer taxes would actually curb the number of DUI fatalities in the state remains to be seen. However, given the scope of the problem, it certainly seems worth a shot. The advocacy group suggests that by raising excise taxes by just five cents, the state could generate roughly $315 million annually in revenue (which gives you an idea of how much Texans like their beer). What they are proposing is a tax increase of 19 cents per gallon (which is what it is now) to 35 cents per gallon – a 16-cent-per-gallon increase. In neighboring states like New Mexico and Oklahoma, it’s 41 and 40 cents, respectively. Last November, the state reportedly made approximately $8 million on beer and ale excise taxes, according to News West 9. The group estimates that such a tax hike could generate another $4 million per month. That may be enough to spur legislators to act on the measure, if the benefit to the safety of Texas motorists isn’t. Still, will people actually drink less if it costs more? It may depend on how steep the increase. Although previous research has shown that slight fluctuations don’t impact a person’s willingness to buy or consume alcohol, a recent Canadian study reveals differently. Scientists in British Columbia reviewed data from 1989 through 2010. After factoring in various economic indicators, they found a direct link between the increase in prices and a reduction of alcohol consumption. But the amount mattered. For every 10 percent increase in the minimum price of an alcoholic drink, they found the consumption fell about 6.8 percent for liquor, 8.9 percent for wine, 13.9 percent for ciders and 1.5 percent for beers. So it’s not an exact correlation, but it can be affected. Additionally, it’s important to note that this study focused only on alcohol that is legally sold. Alcohol purchased or consumed by minors couldn’t be effectively measured. 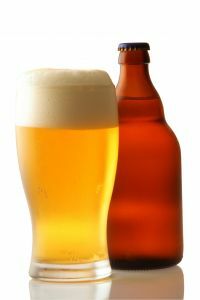 Unlike in Canada, the U.S. government does not set a minimum price on alcohol, and it is up to the state to determine taxes on such goods. Four years ago, legislators in Texas tried to approve a measure that would raise excise taxes on alcohol, along with soda and candy. The bill passed, but by the time it did, alcohol had been dropped from the list. If you’ve been injured in a San Antonio DUI accident, contact the Herrera Law Firm at 800-455-1054 for a confidential consultation. A 48-year-old man who was working underneath the trailer of an 18-wheeler on Nov. 27 was killed after the trailer fell and crushed him, according to a report in the San Antonio Express-News. The man, Martin Medellin of Huntsville, was welding legs to the bottom of the trailer, which was loaded with 40,000 pounds of paper, according to the news report. The trailer crushing accident occurred around 9:30 a.m. at Pro Logis Park, a San Antonio industrial park off AT&T Center Parkway, according to the article. The trailer fell on the man apparently due to a malfunctioning jack stand holding up the trailer, according to the Express-News. An incident report described how employees attempted to use jacks to rescue the man, but the equipment broke. Eventually, workers used a forklift to raise the trailer and remove the injury victim. Attempts by paramedics to revive Medellin were unsuccessful, and he was pronounced dead at the scene, according to the news report. The Express-News reported that Medellin’s relatives were at the scene as police investigated the trailer accident. As San Antonio trailer accident lawyers, we have seen first-hand how devastating a fatal accident can be on a family. We hope for a full and complete investigation and that any negligent individual or business is held accountable. Our thoughts and prayers go out to the victim’s family and friends.